In late April I flew to Denver for a father-son road trip. My dad suggested New Mexico as our destination, so we drove to Taos for a night and then dropped down to Santa Fe for two more nights. 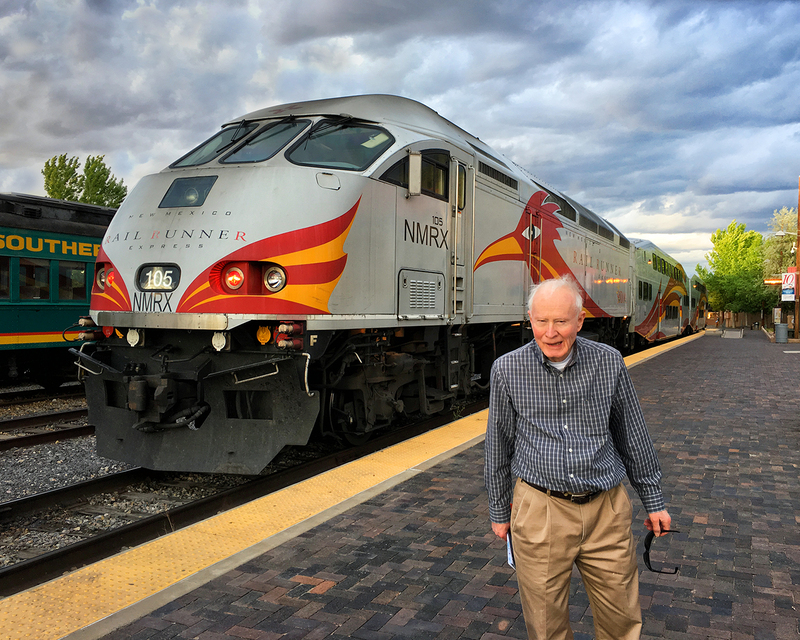 My dad loves trains, and in Santa Fe we were lucky enough to catch the Rail Runner pulling out of the depot. Even more than trains my dad loves collecting old postcards, so we spent a good percentage of our time making the rounds of Santa Fe antique shops. For me antique shops aren’t the most exciting places, but – given that the average age of the clientele tends to be about 70 – they always make me feel like a spry youngster. It was great to visit my parents and cover some miles with my dad, and as a bonus I was able to see both of my sisters and their families and help my niece Elizabeth celebrate her birthday. 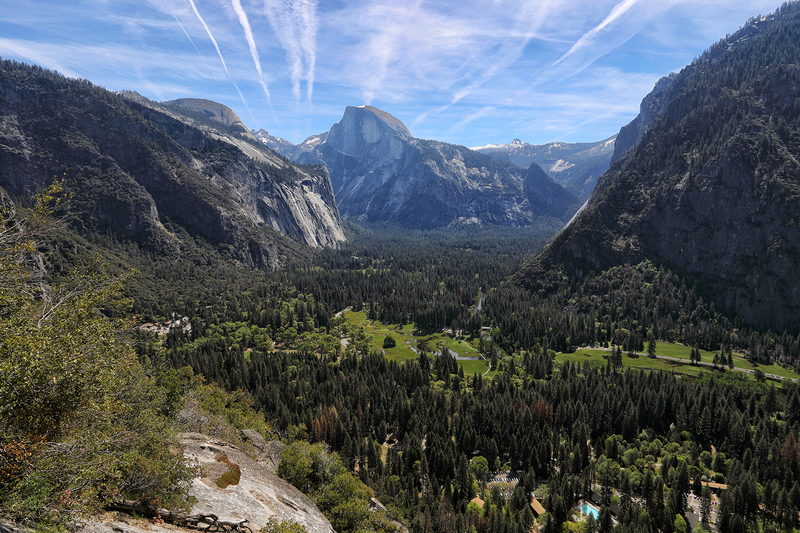 Back in the Bay Area, Marie and I decided to make a relatively spur-of-moment midweek trip to Yosemite National Park. I’d noticed that the park’s waterfalls were really roaring, thanks to an especially snowy winter, and we wanted to take a look. I found an open campsite in the valley and Marie was able to skip out of work for a couple days. 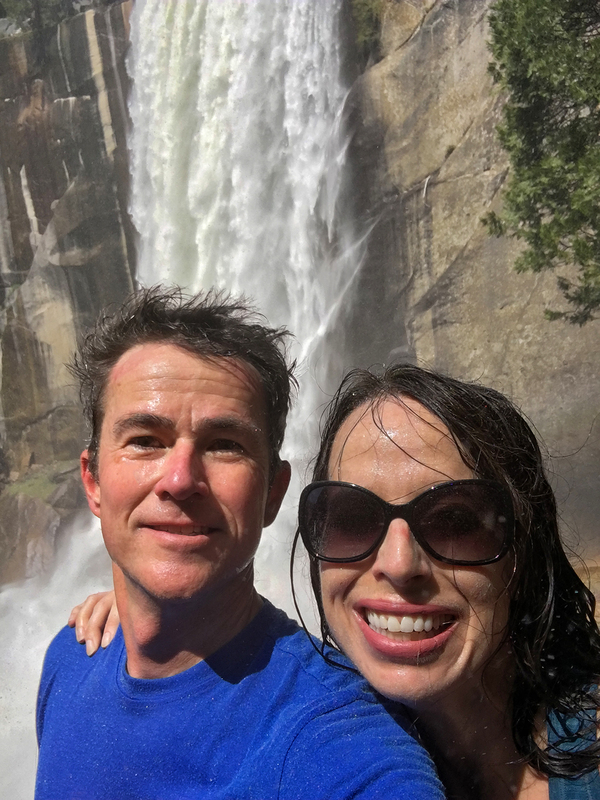 We drove to the park first thing in the morning, set up our tent, and decided to brave the crowds on the Mist Trail to Vernal and Nevada Falls. 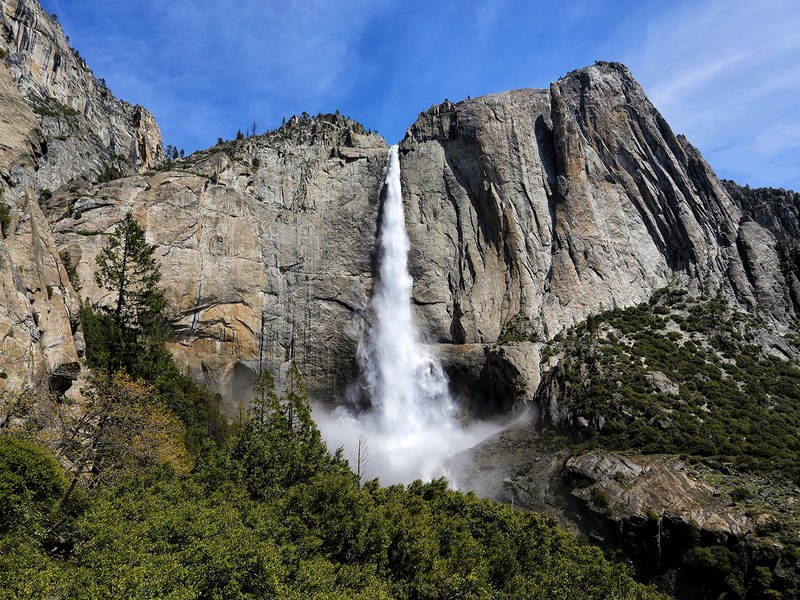 The trail lived up to its name – I’d never been so soaked by the spray from Vernal Falls. Water was pouring into the valley at a ridiculous rate. Everywhere we looked there were waterfalls we’d never even seen before. 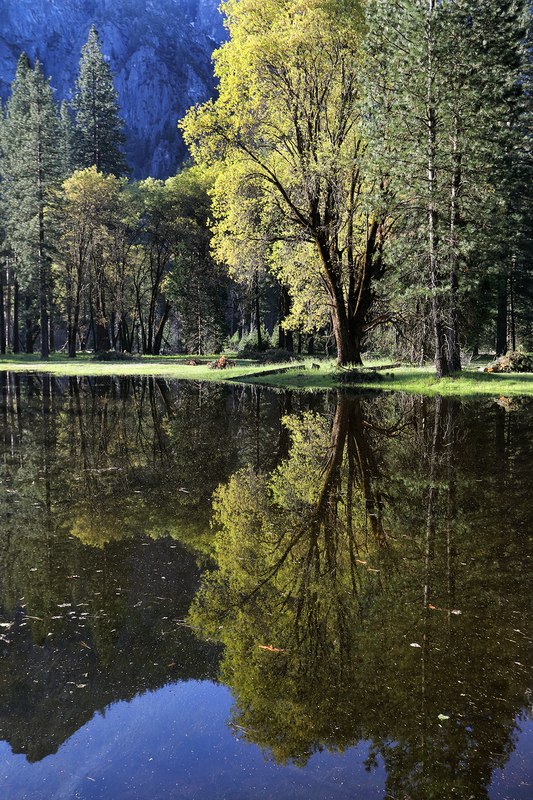 The Merced was forced to overflow its banks all along the valley floor. 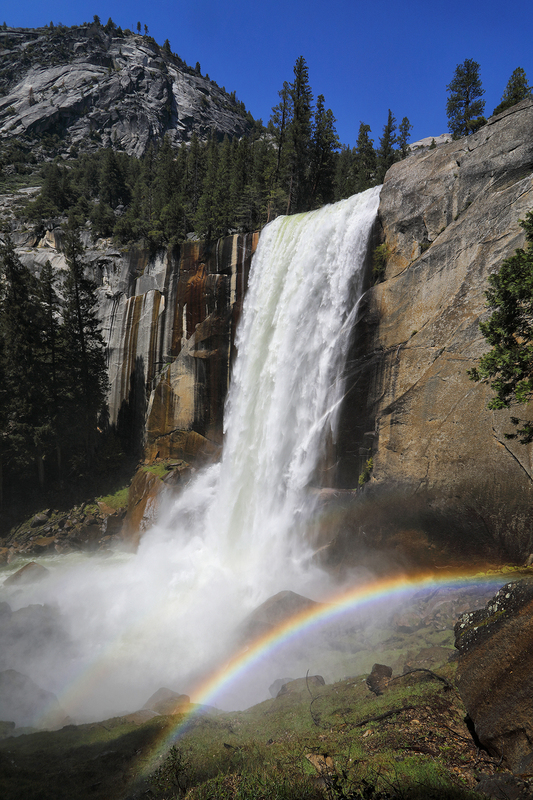 I tried to save enough energy to stay up late that night to take a “moonbow” shot of Upper Yosemite Falls (where the full moon creates a rainbow in the spray at the base of the falls), but after our first beer I knew I’d never make it. I had to settle for admiring shots like this one from Jim Goldstein. 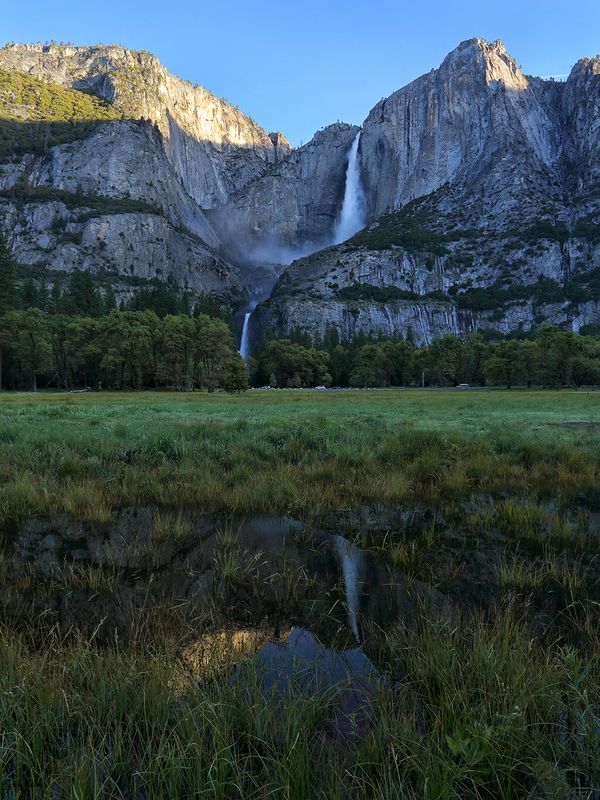 Up before dawn, I drove to Tunnel View to check out the conditions, but finding no low fog or interesting clouds I headed back down to the valley for sunrise reflection shots of Yosemite Falls. As I looked around for good spots I was startled to see an otter run down to the banks of the Merced and swim out into the river. I’d never seen an otter at Yosemite before and didn’t even realize there were any in the area. Unfortunately I only had my wide angle lens with me and didn’t get a shot. 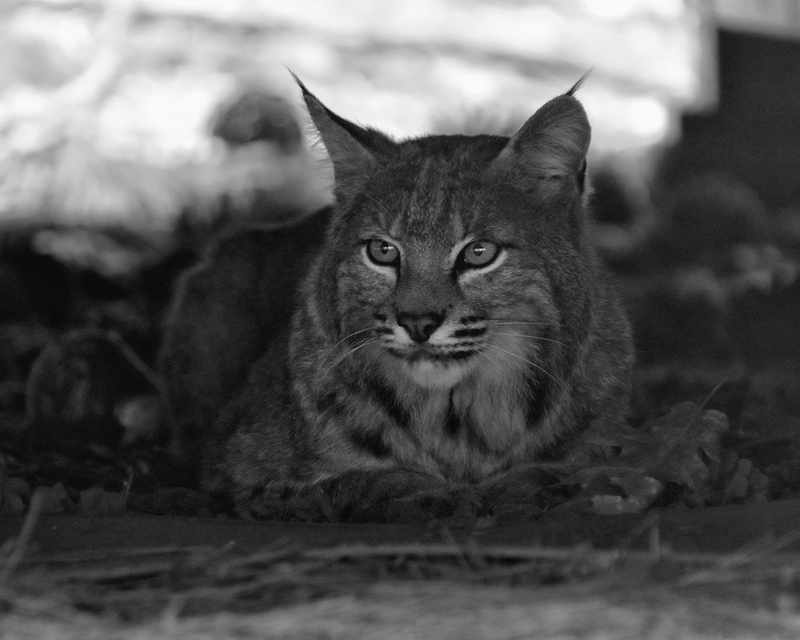 As Marie and I sat eating breakfast at Half Dome Village (formerly Curry Village), a bobcat trotted by the window. I ended up following it for so long that my food was cold when I finally made it back to the table. Before leaving the park we hiked up to the base of Upper Yosemite Falls, doing our best to navigate the almost-continuous string of other hikers. The crowds at Yosemite are always frustrating, but wow – seeing all the waterfalls thundering and raging was pretty awesome and more than worth it. Great to see you had a fun trip. I’m jealous of your otter sighting. I’ve never seen an otter there. Glad you made it up to the lookout at the base of Upper Yosemite Falls even if it wasn’t at night for the moonbows. There’s always next year. Also thanks for linking to my moonbow photo & story. Great to see and hear of your adventures. 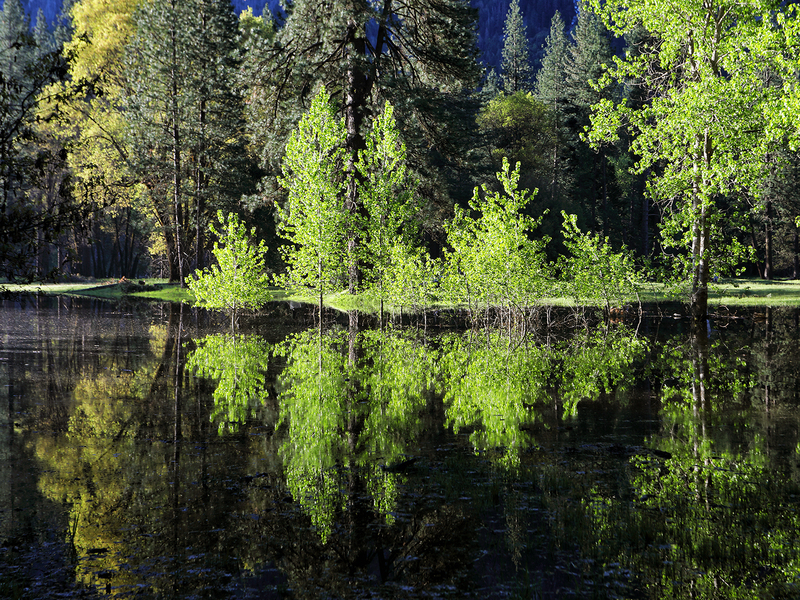 They are stunning photos and Yosemite was my daughters favourite parklands when she went to visit. Such enriching experiences.